Sunset on Mt. 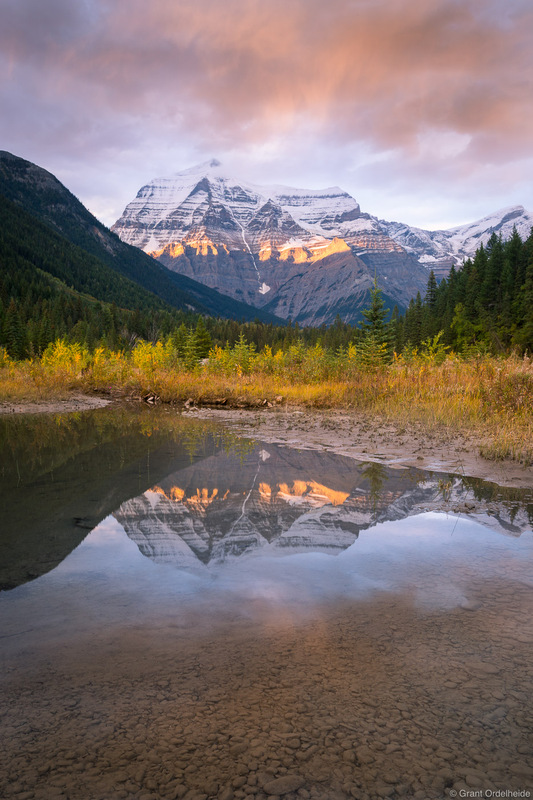 Robson, the highest peak in the Canadian Rockies. Photo © copyright by Grant Ordelheide.